Taylor Stayton made his debut at the Edinburgh International Festival in August as Don Ramiro in La Cenerentola. Bachtrack raved, "Taylor Stayton is an exemplary Rossinian tenor: the top register has zing and lustre, the cascade of decorations are beautifully phrased and his demeanour exuded charm: it’s a voice I could have listened to all night." For more reviews, click here. 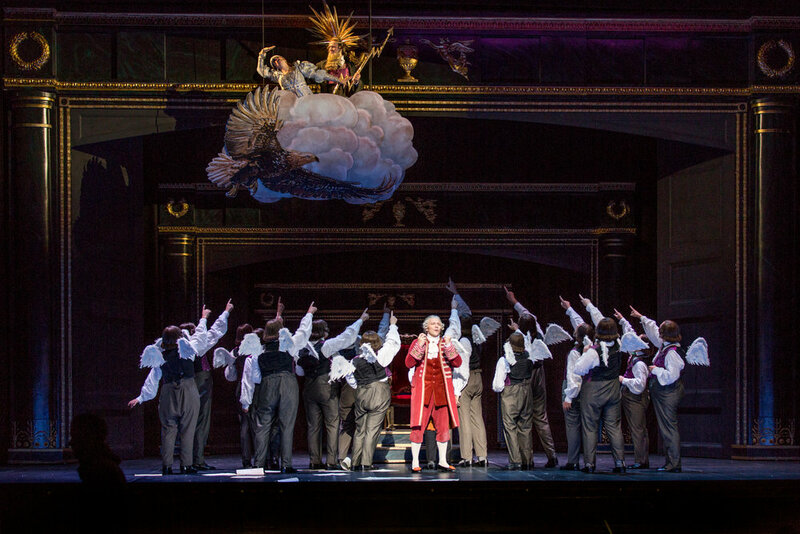 "Having made company debuts earlier this season at Liceu Barcelona and Opera Omaha, American tenor Taylor Stayton makes another company debut, this time at Washington National Opera, in Peter Kazaras’s Barbiere di Siviglia staging (Apr. 28–May 19). Later, Stayton closes his season with Alfred in Des Moines Metro Opera's Fledermaus, directed by David Gately." Taylor Stayton’s “laser-bright timbre” and “exceptional fluidity above the staff” (Opera News) continue to distinguish him as one of the most sought-after tenors in his repertoire. Stayton begins the 2018-2019 season with his debut at the Edinburgh Festival in August singing the role of Don Ramiro in Rossini's La Cenerentola, a role he reprises later in the season for his return to the Norwegian National Opera in Olso. He makes his role debut as Nemorino in Donizetti’s L’elisir d’amore in February with Opera Omaha. Taylor recently returned to the Metropolitan Opera debuting the role of Camille de Rosillon in The Merry Widow, followed by his debut at both Semperoper Dresden and Washington National Opera reprising his acclaimed interpretation of Almaviva in Rossini’s Il barbiere di Siviglia. Additional recent debuts include his house debuts with the Liceu Opera Barcelona in the role of Belfiore in Rossini’s Viaggio a Reims and Opera Omaha as Fenton in Verdi's Falstaff, as well as his role debut as Alfred in Strauss’ Die Fledermaus.